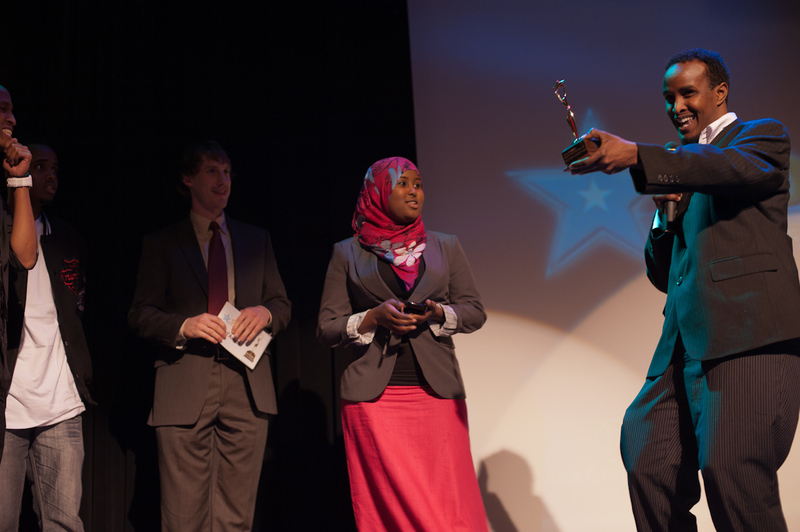 WellShare’s Somali youth program was started in 2002, the youth program uses two approaches, The Young Achievers program, a community based after-school program and WellShare Wellness Classes, in school based class in which WellShare partners with teachers to teach about health. WellShare’s community-based program known as The Young Achievers started in November 2006 and serves about 30 students each, at two locations, mostly in middle and high schools, each semester. 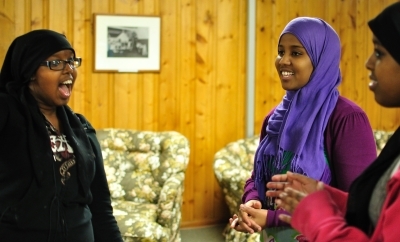 Currently, TYA program is held at Riverside Plaza and Franklin Library, in collaboration with the Confederation of the Somali Community in Minnesota and Hennepin County Library – Franklin Branch, meeting one evening a week at each location. 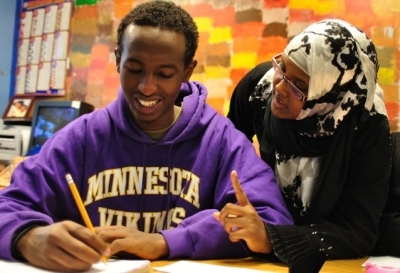 The in school based, WellShare Wellness Classes meet once a week and currently partners with Metro Schools and Cedar Riverside Community School, both are charter schools mainly attended by Somali students. WellShare partners with parents and creative professionals to use the arts and media to convey health facts and positive messages, promote academic success, and encourage personal growth. This unique approach—youth-driven, creativity-focused—is the corner stone of the program and has ensured its enormous success. WellShare adapted Somali Healthy Youth Curriculum emphasizing nutrition and physical activity using ‘best practices’ for youth programming (such key assets; research trends) as well as parents and family involvement. “U r what u eat” The Young Achievers’ PSA was viewed more than 18000 times on youtube.com alone. The youth in our programs completed number of photoVoice projects, in which the youth first take the photos and create stories of their perception on healthy eating and physical activity, community, safety etc. The complete project is exhibited and shown to community. The Young Achievers Annual event is held in June. The youth showcase health messages using poetry, skits and dances. It serves as a medium for the youth to engage and educate their community about issues affecting youth or the community in general. The Young Achievers produced an HIV DVD that uses humor to address stigma in the community and to provide correct information. 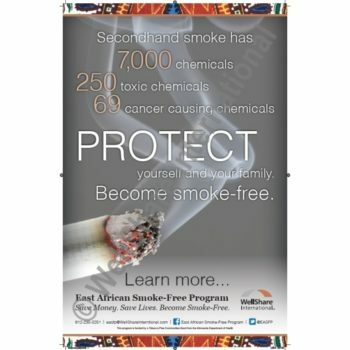 Poster | 18″ x 12″ | English Audience: Members of the Somali Community Description: An educational poster describing the health impacts and risks involved in secondhand smoke exposure.